6 NEW BUILD demi-chalets - Ideal CENTAL LOCATION in Chamonix - Underground PARKING and ski room - Exterior JACUZZI and large PRIVATE GARDEN- Stunning MOUNTAIN VIEWS - High spec interior design. 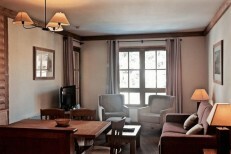 Les Chalets des Paradis is a small collection of demi-chalets that will take up an idyllic location close to the centre of the ever-popular resort of Chamonix. These 6 properties, sold off plan, will offer spacious interiors ranging from 114m2 – 179m2 spread over three floors. The ground floor will be dedicated to large, open plan living and dining areas which will be bright and airy thanks to West facing bay windows leading onto generous private gardens. Upstairs will house the 4 en-suite bathrooms, each with access to a balcony. The basement includes a private garage and ski room. These rare properties will be finished to the highest standard, with high quality interiors and the possibility for the owner to create a bespoke space that will include a sauna and exterior Jacuzzi to help with the all-important post-ski relaxation. Stunning views of Mont Blanc will be enjoyed from each chalet and, with the very centre of Chamonix just a 10-minute walk away, everything that this authentic Alpine town offers will be on your doorstep. For the quality and location, these chalets are extremely well priced with a per sqm cost of €9,000 - comparable properties in this area can reach up to €13,000 per sqm. The summer in Chamonix is as impressive in the winter and the town remains as populated in the warmer months. This makes for a fantastic year-round rental market that these new chalets will be in a perfect position to capitalise on.